Starlight Suites is a 35-storey freehold condominium tower developed by Meadows Property Singapore and designed by JGP Architects. It is located at River Valley Close in the prime District 9. It is consists of 105 exquisite units with mix of 1-bedroom, 2-bedroom, 3-bedroom, 4-bedroom and penthouses. It is designed with top quality luxurious fittings and furnishes. Selected units come with own private lift lobby. It also offers the fascinating views of Great World City, Mohd Sultan, Orchard Road and Singapore River. It has full range of condo facilities, including Swimming Pool, Wading Pool, Jacuzzi, Pool Deck, Viewing Deck, Yoga Deck, Gymnasium, Children’s Playground, Reflection Pond, and BBQ Pit. It is near Clark Quay, DhobyGhaut, Somerset and upcoming Great World MRT stations, and accessible to several feeder bus services. It conveniently connected to major express ways of AYE, CTE and ECP. It is a short drive to the city via River Valley Road. Residents can go to shopping malls like Concorde Shopping Centre, Great World City, Liang Court, Orchard Central, Robertson Walk, UE Square, Triple One Somerset and 313@Somerset, for amenities such as banks, restaurants, retails shops, supermarkets and more. Numerous famous eateries and restaurants are available along Mohamed Sultan Road, Nanson Road, River Valley Road, Robertson Quay, Robertson Walk, and Unity Street, while more hawkers are found nearby, like JalanKukoh Food Centre, Maxwell Road Hawker Centre, People’s Park Complex Food Centre and Zion Riverside Food Centre. It is close to distinguished local and international educational institutions, such as Anglo-Chinese Junior School, Chatsworth International School, GanEngSeng School, Overseas Family School, Outram Secondary School, River Valley Primary School, Singapore Management University, St. Margaret’s Primary School and Zhangde Primary School.For healthcare, residents can go to nearby centres and hospitals of General Practitioner Clinics, Mount Elizabeth Hospital, National Heart Centre, Outram Polyclinic, Singapore General Hospital and Singapore National Eye Centre. It is also surrounded with different recreational facilities, including Chinatown district, Fairway Country Club, Fort Canning Park and Kim Seng Community Centre. This private sanctuary lets you celebrate life without boundaries and promises a perfect dream home. Register your interest now for the exclusive preview of this high-rise resort styled condo and secure a unit at the lowest possible prices. Step inside the majestic environment of the Bently Residences @ Kovan and feel at home in Singapore’s latest residential development for discerning individuals who demand only the best. From standard apartments to dual key units to penthouses, The Bently Residences @ Kovan have a full range of homes to suit your lifestyle. Whether you value living on your own, love being around family or enjoy entertaining at home, there is an abode that will suit you at The Bently Residences @ Kovan. Beyond homes, you will find fantastic facilities and amenities that serve to enhance and enrich your life, right at your doorstep. From a spa pool to garden alcoves to private swimming pools, you will find the perfect distraction to keep you occupied and satisfied at The Bently Residences @ Kovan. The Bently Residences @ Kovan is conveniently located near transport options, shopping malls, restaurants, cafes and entertainment spots to give you a multitude of things to do and explore. You will find shopping for both daily necessities and rare extravagances a joy with malls such as Kovan Heartland Mall and Nex Shopping Mall situated nearby. Have a meal with family or spend a night out with friends at restaurants, cafes and entertainment spots near to The Bently Residences @ Kovan. Renowned schools are also just a stone’s throw away, making quality education easy to access. Reaching out to other parts of Singapore is a breeze with great transport connections from The Bently Residences @ Kovan. Drivers will love using the Central Expressway and the Kallang Paya Lebar Expressway to zip around the island while Kovan MRT station will allow passengers to efficiently travel to anywhere in Singapore. The many facilities and amenities at The Bently Residences @ Kovan will never leave you feeling bored. Here you can enjoy the good life without ever having to leave home. Enjoy balmy evenings communing with family and friends over a sizzling BBQ or relax on the sun deck and within garden alcoves while the ids splash around in the children’s pool. You may prefer to work up a sweat in the state-of-the-art gym or to simply soak in the spa pool and feel the stress of the workday melt away. A lap pool is also available for relaxing swims while penthouses have the added luxury of a private pool for truly extravagant living. All these and more are available for your pleasure at The Bently Residences @ Kovan. The Goodland Group (Goodland) is a Singapore based premier lifestyle property developer specializing in residential developments. Goodland was incorporated in the Republic of Singapore in 1993 and is listed on the Singapore Exchange Catalist Board on 8 October 2009.Goodland caters to the needs of a wide spectrum of homeowners, with an established reputation for building quality, signature, environment friendly developments. Goodland plans to increase its footprint significantly in the residential, commercial and industrial property segments, and is strategically placed for sustained growth for years to come. Japan Osaka brand new flats The residence higashi mikuni. The Residence Higashi Mikuni is strategically located only 550 meter walk to Higashi-Mikuni Station. It is also within 6 mins walk to parks, Primary and Secondary Schools, Supermarket and Restaurant. Restaurants, shops, supermarkets, Primary and Secondary schools are within a few mins walk! Pacific Skyloft is the mixed development by Pacific Corporation located at 1160 Governor Forbes, Lacson Avenue, Sampaloc Manila, Philippines. This new launch development has a freehold tenure and is proposed to consist of a single 36-storey high tower with a total of 384 commercial and residential units. Pacific Skyloft will boast of 4 sections namely the Skyloft Gallery, Medical Plaza, Sky Deck and a residential component. Pacific Corporation is a family controlled corporation which was established in 2005. The company was involved in jewelry manufacturing, importation and distribution since 1980’s. In 1990’s it has formed Unigold Corporation together with one of the biggest manufacturer in Malaysian as partner and opened the most modern jewelry manufacturing company in the Philippines. After 2005, the family diversified into different businesses such as importation of soft or wearable lines, computer gaming and luxury watches distributor. Today, the computer business is probably one of the biggest in the Manila’s University Belt area with 10 branches and with over 4,000 computer stations. Pacific Corporation has also expanded its REAL ESTATE business by opening 5 medium rise buildings, 4 almost completed and 1 on- going project. A brilliant representation of nature’s beauty, the name of Floraview & Floravista is aptly taken from the green of the plants and the blue of the water. 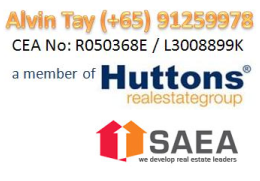 Nestled within a serene private residential estate of Yio Chu Kang, the mixed development is set amidst refreshing greeneries and nature reservoirs, yet only a distance away from the hip of the city. The 3-block Floraview is a comprisal of 90 residential units ranging from 1 to 3-bedroom and penthouses, with Floravista on the first storey—a commercial area featuring 28 retail podiums and F&B outlets. Surrounded by nature parks and lavish greeneries, Floraview & Floravista promises a rare quality living altogether with doorstep-away amenities, not forgetting the tiptop fittings and facilities that include gym, pools, and BBQ pit. Going around the city is yet easy with the nearby Yio Chu Kang MRT and expressways, by which places like Orchard Road and CBD reachable within a brief drive. It is also near the upcoming Seletar Aerospace Park—a top-notch aerospace park where Seletar Airport and other aerospace industry activities will nest, making Floraview & Floravista the perfect choice for either own stay or investment purpose. A seamless collaboration of nature’s beauty, tranquility, and convenience, Floraview & Floravista offers the luxury of everything in reach. More than a single address, it is a home where life meets balance — a home to look forward to every day. SMS ‘FloraView’ & YOUR NAME TO Alvin Tay (+65)91259978 or simply click the button on the right. Today, Oxley has expanded its property development portfolio into other regions, forming strong partnerships with other reputable developers and business partners. The Group has established a presence in the UK, Cambodia, Malaysia and The People’s Republic of China. In the first half of 2014, the Group launched its maiden overseas project, Royal Wharf, a new waterfront township located in East London, and The Bridge, a mixed-residential and commercial development in the heart of Phnom Penh. The Group has also diversified into property investment. Among such investment properties under development are two hotels, Novotel Singapore on Stevens and Ibis Singapore on Stevens, which are due to open their doors for business in the first half of 2017.